Thomas Rowlandson’s caricature of apprentice surgeons and medical students performing illicit dissections in an attic room, engraved in 1770. Wellcome Library, London. If Leonardo the anatomist could have chosen to work in another time and place, he might well have picked eighteenth-century London. Two centuries after he had completed his remarkable anatomical studies, this city was the most advanced and exciting centre of anatomical discovery in the world. Two Scottish brothers – William and John Hunter – were remaking anatomy in the image of the European Enlightenment. Their work took inspiration from Leonardo, whom William described as ‘by far the best Anatomist and Physiologist of his time’. In ‘Sensational Bodies’ we’ll meet the Hunters, along with dozens of anatomists who began to explore the terra incognita of the human body, just as Captain Cook mapped the unknown islands of the Pacific. But as we’ll discover, anatomy was never just the private pursuit of physicians and surgeons. This was science conducted in the public gaze, and artists, aristocrats and the thrill-seeking demi-monde flocked to witness dissections, operations and lectures by the stars of the day. And this grand edifice of new knowledge was built on grim foundations. 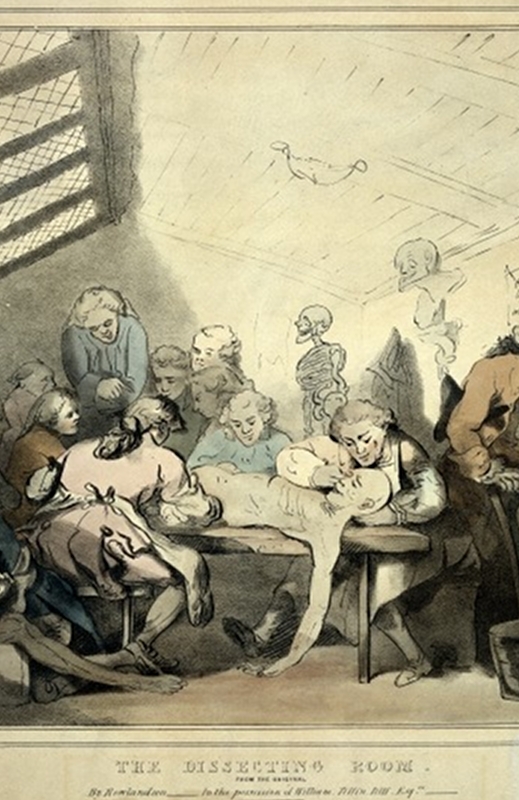 In uncovering the secrets of the human body, surgeons and anatomists were complicit with hangmen, body-snatchers and their unfortunate victims.